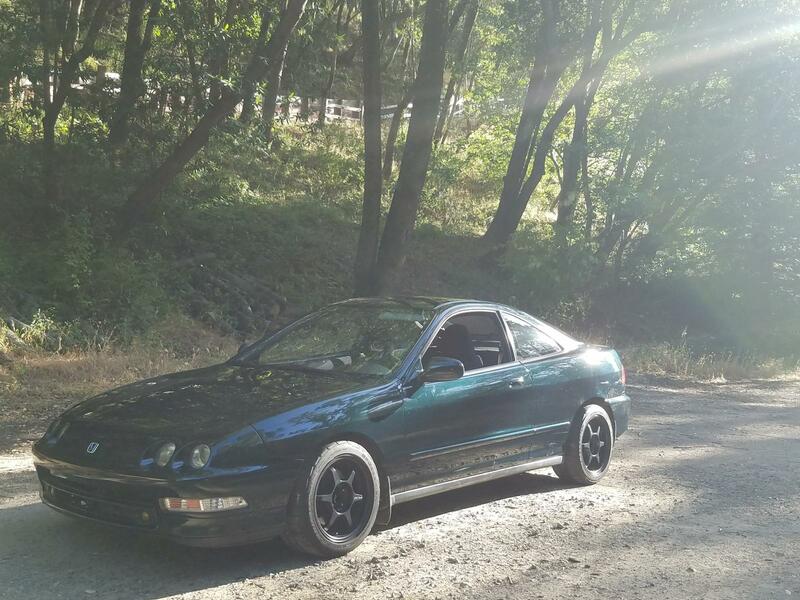 For sale is my 1996 Acura Integra GS-R track car. 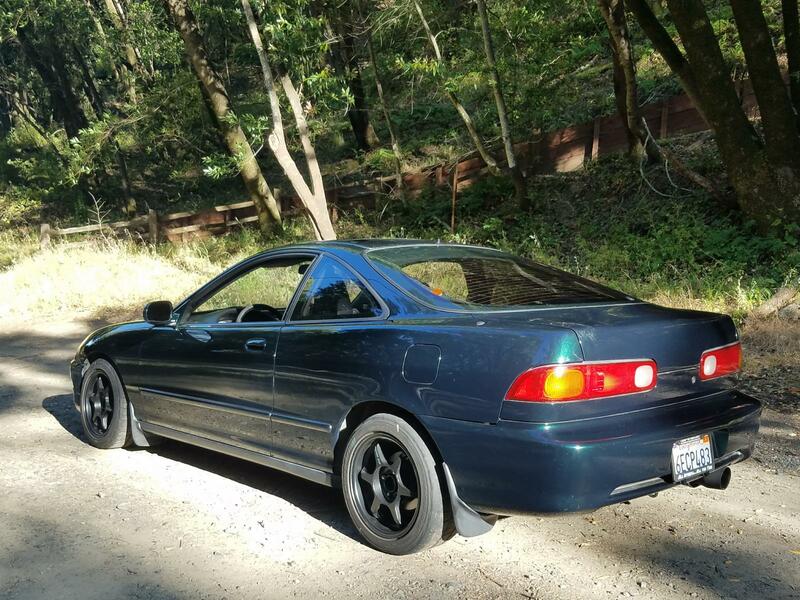 I want to see the car go to another track/Honda enthusiast and will negotiate the price for the right buyer. 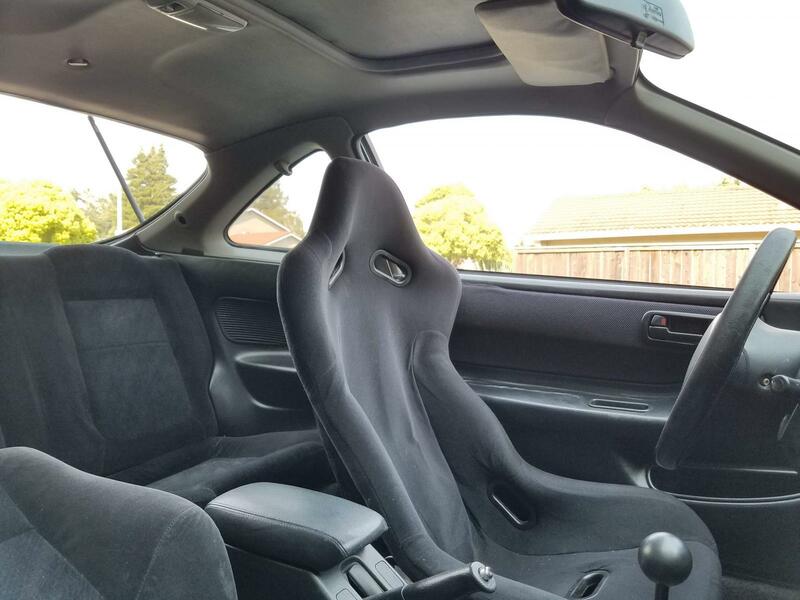 I've invested over $3000 into the car for the parts, labor, and tuning - so this car is a steal at $4500. You will not find a cleaner car with the same quality parts at this price. Four years ago, I bought the car from a local, respected Acura mechanic. He bought the car back in 2008 and essentially rebuilt the car from the ground up: had the engine rebuilt, put back in a GS-R transmission, new clutch components, replaced all the suspension bushings, had the paint work done, had the engine rebuilt, put in the upgraded valve train, and added all the bolt-ons. By the time I bought it, all it need was some fine-tuning. 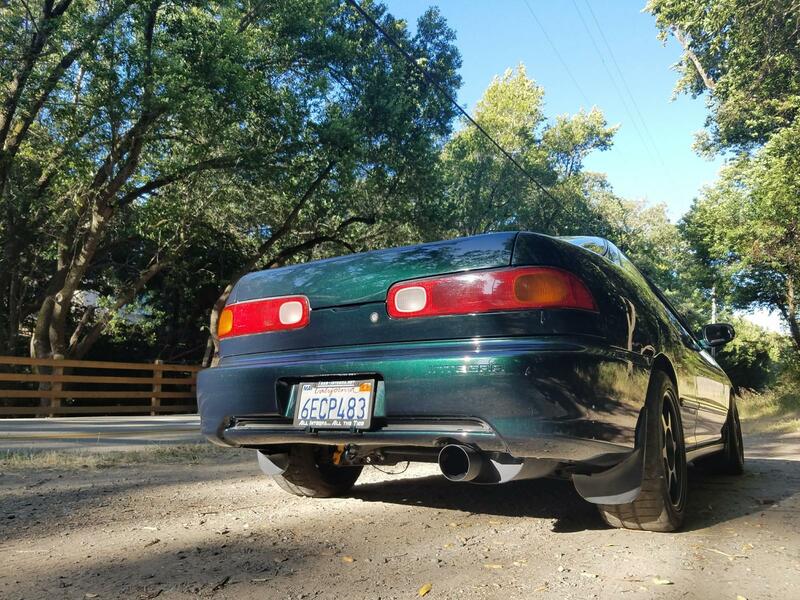 I then added an adjustable suspension setup, stiffer rear sway and chassis bracing, new tires/wheels, JDM ITR steering wheel, ITR limited-slip differential, ITR cams, and a full 2.5 exhaust from the header collector back. Performance In Frame Tuning in Napa installed the LSD and cams, and then put a custom dyno tune on the car using the Hondata S300 USB interface. With the race equipment installed, the car made 176WHP (dyno sheet pictured). 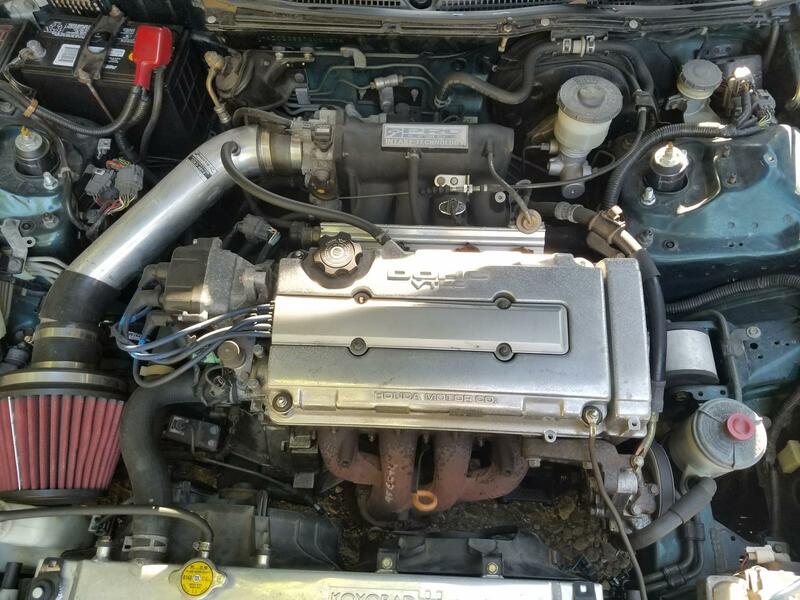 The ITR cams gave the car a big boost in torque across the RPM range, and combined with the custom tune, the car makes power all the way to redline at 8300RPM. The limited-slip differential is a huge help at the track, where you can accelerate through corners using part-throttle application, and rotate easily by trail-braking or lifting. 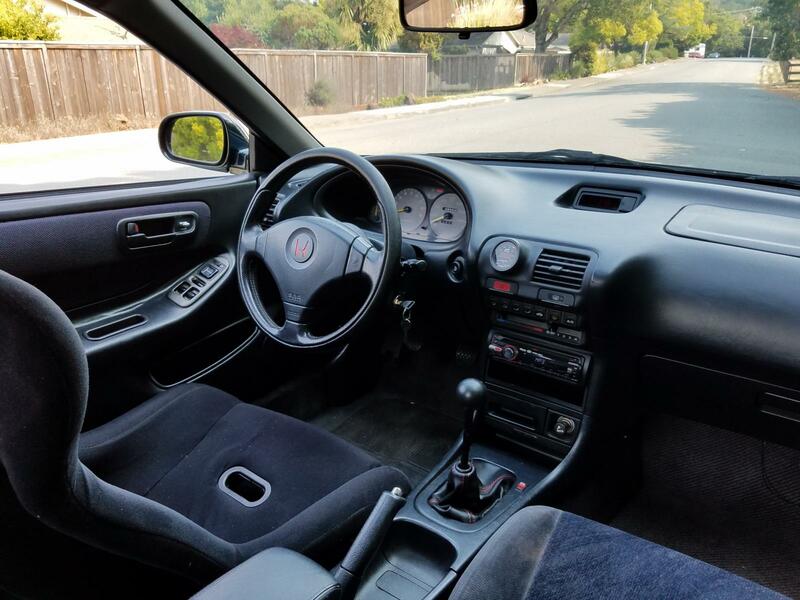 The JDM ITR SRS steering wheel has the best feel of any wheel that was offered with these cars, and although the aesthetics of this wheel aren't perfect, it still feels/looks great! 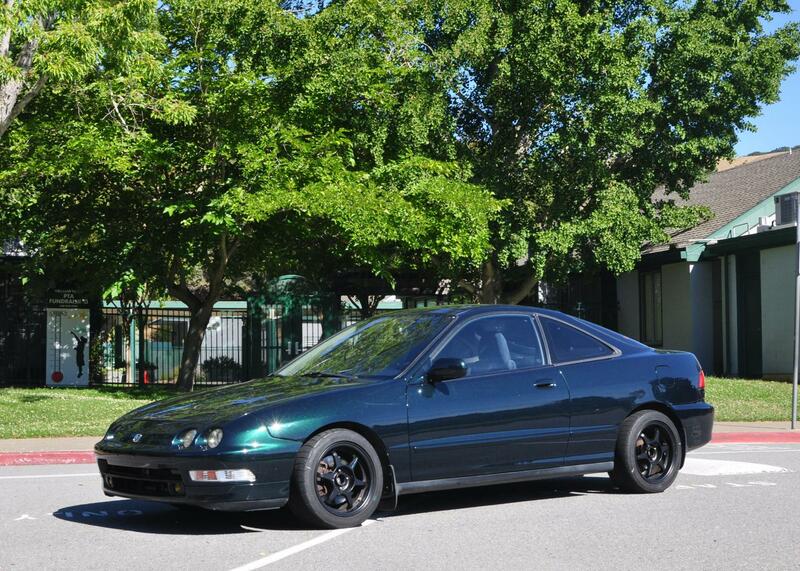 It has been lovingly maintained with regular alignments, and oil changes with K&N filters and full synthetic. It's been used exclusively for autocross, and has been living under a cover or in a garage for most its life. I've only driven the car a couple thousand miles over the last four years, so it hasn't needed anything. The transmission fluid was replaced about a year ago when the limited-slip differential was installed. The car has been extremely reliable, has no major issues, and performs very well out on the track. There are no leaks and the car doesn't burn any oil as far as I can tell. 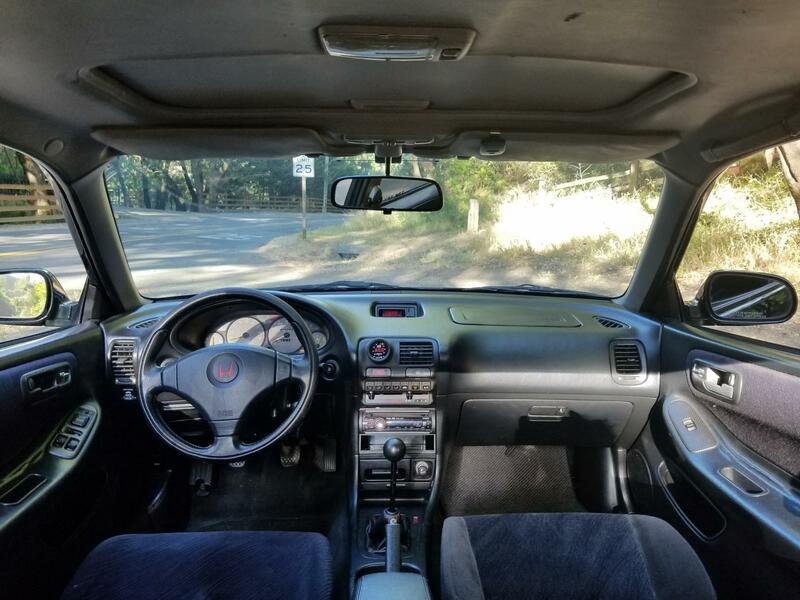 Car fires up every time, no idle issues, no overheating, no pop-outs/grinds in the transmission, and ride/power are smooth. The car is SMOG legal as it currently sits, and all the race equipment (ECU with tune + full exhaust) is included with the car to bring out its full potential. The SMOG results from the last test were the cleanest I've ever seen from any car I've owned (including other freshly rebuilt Integras). The catalytic converters included with the car are both basically brand new, as well as the O2 sensors. The suspension is lowered, but still gets easily in and out of driveways and you can still get a floor jack underneath. It's setup with the correct ride-height, where the front/rear lower control arms are parallel with the ground. The Ground Control coilover sleeves are height adjustable, so the car could be lowered much more if desired. The current setup is designed for slight oversteer at the limit, making the car more lively than your average front-wheel drive Honda, but this also makes the car rotate much better through slalom and other slow-speed driving. The Koni Yellow shocks are adjustable so they can better match the stiff spring rates, but on the street it's still relatively comfortable. 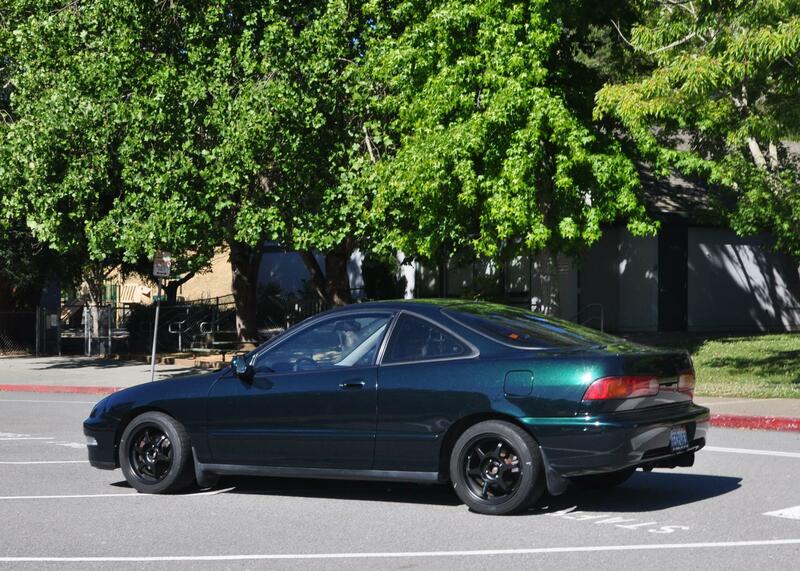 The previous owner had it professionally repainted Emerald Green Metallic and the paint is in great condition. There is one tiny rust spot on the rear passenger fender that's only visible from below, and it is otherwise rust-free. The trunk still has holes from where the spoiler is normally mounted. I have them covered with painters tape when I'm not using the car, and they are otherwise exposed. There are some scrapes on the front driver-side of the lower bumper valence, but these are not noticeable from outside and are covered up if you install the included Si-R replica front lip. Most everything in the car works: windows, locks, defroster, sunroof, lights, etc. The fog light switch is wired up funny - as it automatically goes on with the headlights. Also, the cigarette lighter socket is disconnected. These haven't bothered me enough for me to fix them. I am reluctant to sell it, but I'm in need of a truck. I really want to see this car go to another track or Honda enthusiast so it can continue to be driven as originally intended. Last edited by stealthpenguin; 07-20-2018 at 12:49 AM. Car will be put up for auction on July 16th. I hope you get every penny, such a deal. Price lowered again! $3900 or best offer. Please someone buy this so I know it's going to a good home! Sold to a fellow autocrosser! Always good to know a well taken care of car is going to someone who will do the same!